Tuckers Grove. 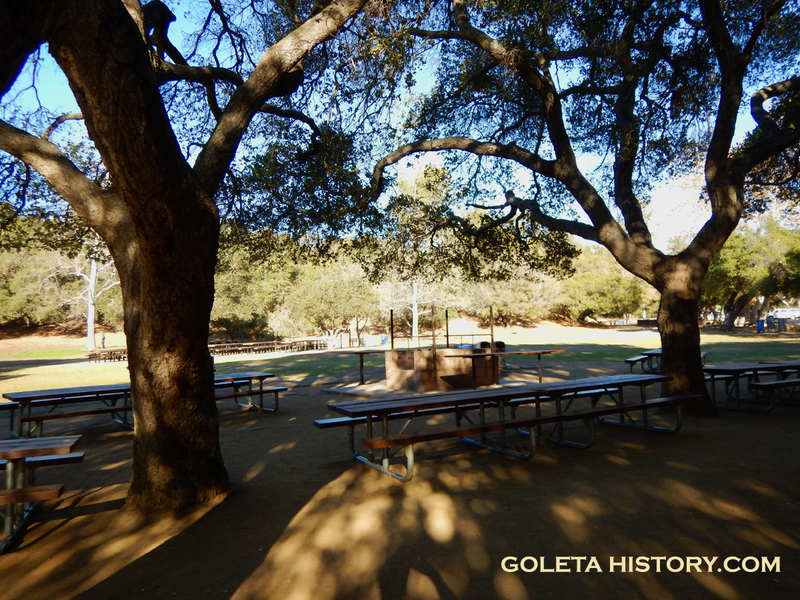 One of Santa Barbara and Goleta’s favorite parks for parties, picnics and club gatherings. Every local knows it well and maybe we even take it a little for granted. But it could have been just another neighborhood if not for some proactive citizens that got up and took action. Here’s how it happened…. The story begins with this handsome chap, Captain Reason Penelope Tucker. 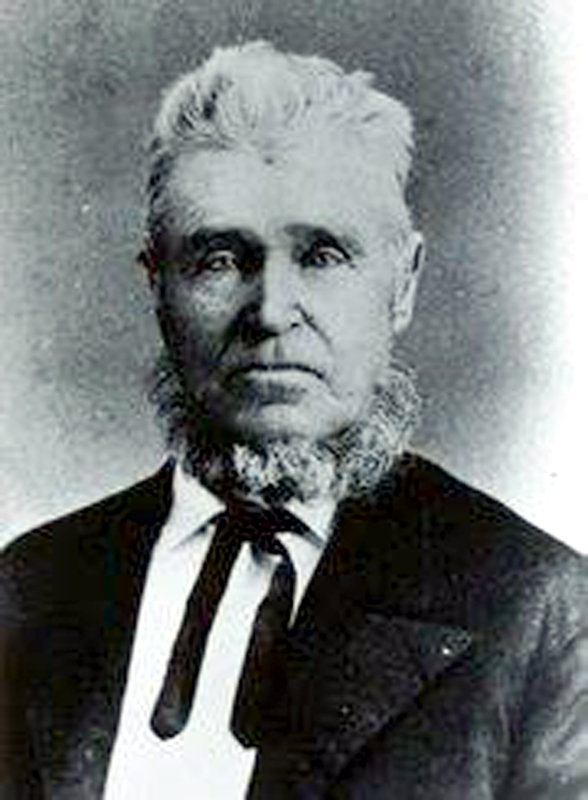 He was born in Virginia and made his way west, outliving multiple wives and fathering ten children along the way. 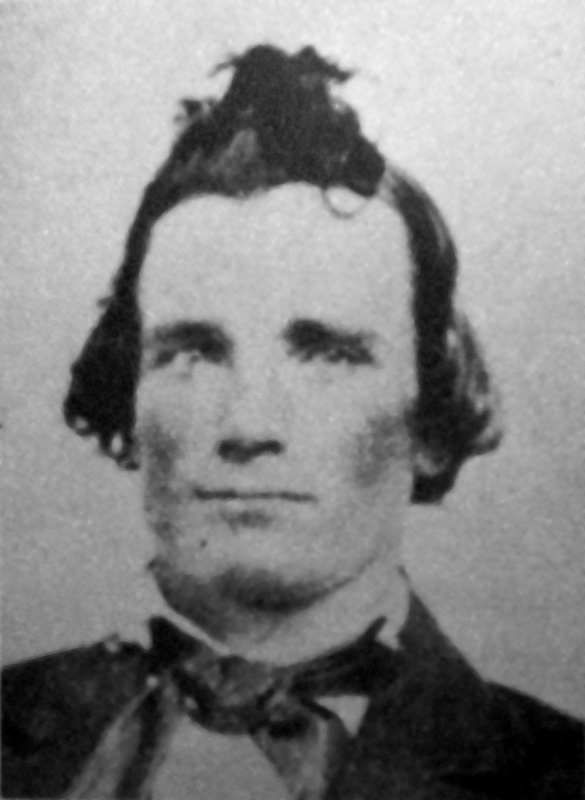 His claim to fame was his participation in the rescue of the Donner Party in 1846. His natural leadership abilities along with his heroics helped to earn him the honorary title of “Captain”. Tucker was described as “six feet three inches tall, very strong, and heavy weight,” a man of great determination and always friendly and kind. 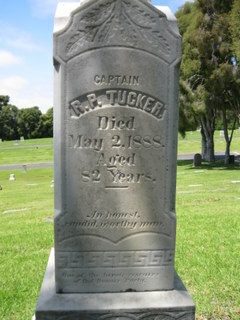 Mr. Tucker had helped settle the Napa Valley by planting wheat fields in the area, he also invested in the first quicksilver mine in Napa County, and he was part owner of the first resort in Calistoga. Unfortunately he got caught up in a legal dispute and lost everything, forcing him to relocate and start over. 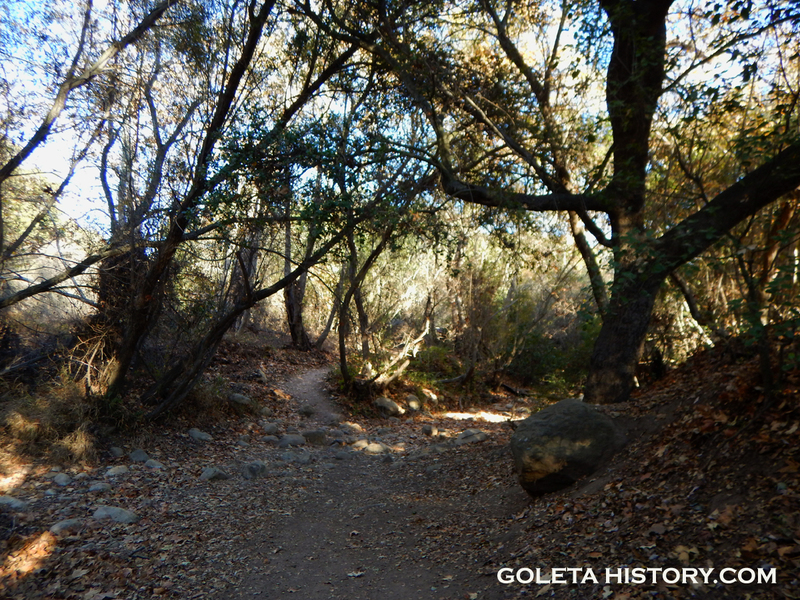 Moving to Goleta from Napa Valley in 1872, Tucker bought property on the east bank of the Maria Ygnacio Creek, near the northeast corner of Daniel Hill‘s original La Goleta Rancho. Part of this parcel was along the San Antonio Creek and it contained a thick grove of trees. The ancient oaks and sycamores sheltered the stream and meadows and Mr. Tucker didn’t mind sharing the spot with the public. 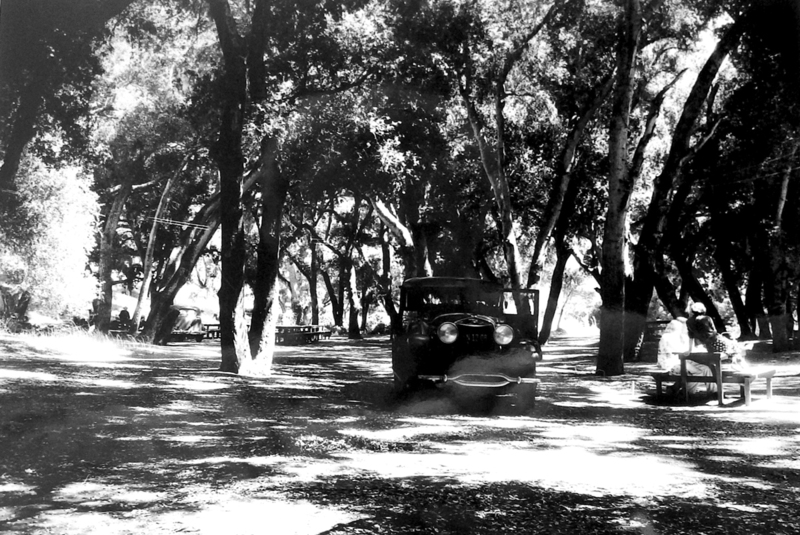 It became a favorite picnic spot known and loved by locals as Tucker’s Grove. 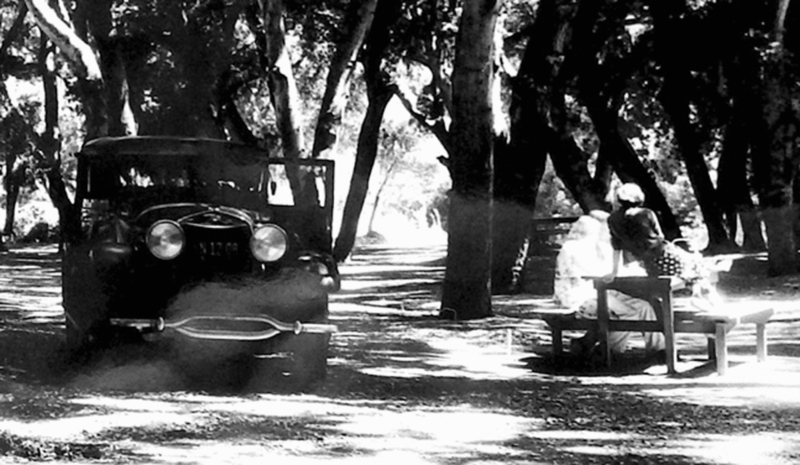 Reason Tucker passed away in 1888, and the picnic area was inherited by his son Charley. 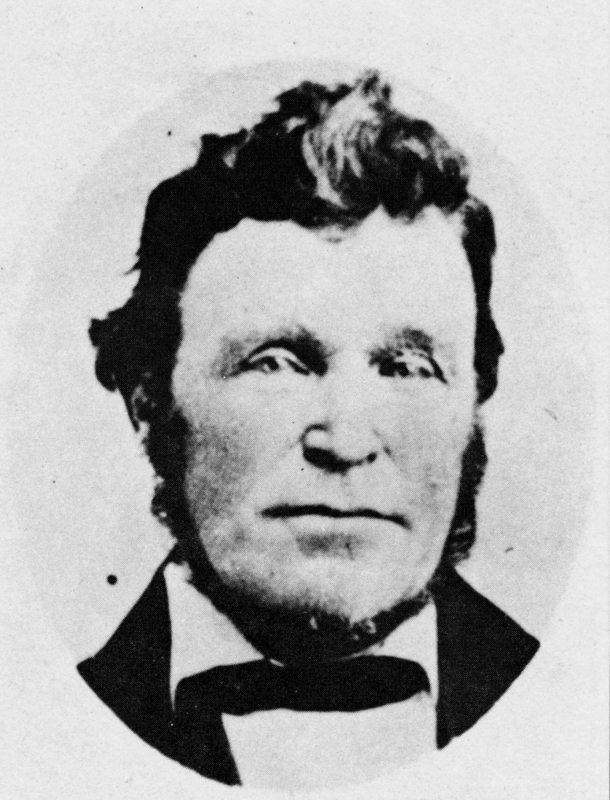 Charley Tucker was a massive man, weighing in at 300 pounds, and he became famous throughout the Goleta Valley for such feats of strength as twisting horseshoes into pretzels and bending iron bars with his bare hands. By the turn of the century, Charley had gotten a lot of offers from investors that wanted to develop the beautiful land and that would of course require the removal of all those giant trees. He solemnly refused the offers and followed in the tradition his father began, allowing the public to enjoy the natural beauty of the area, free of charge. 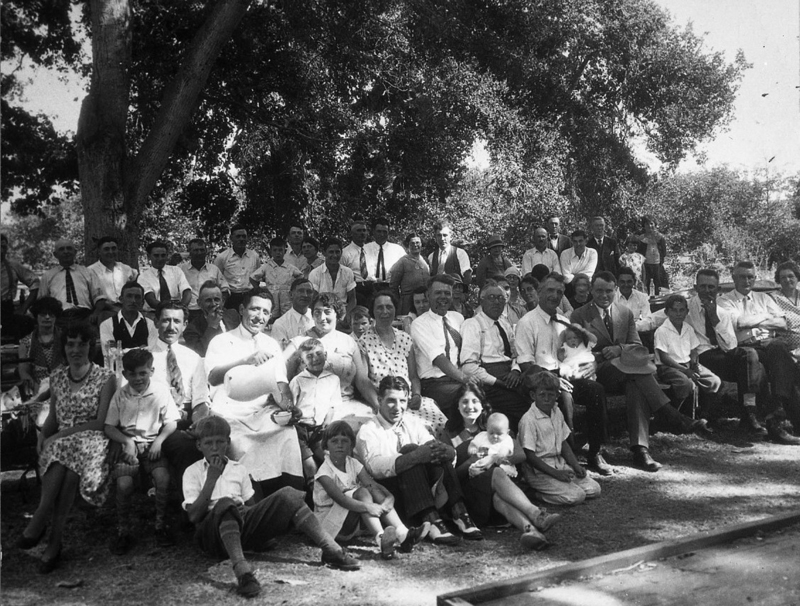 And the popularity of the grove continued to grow. 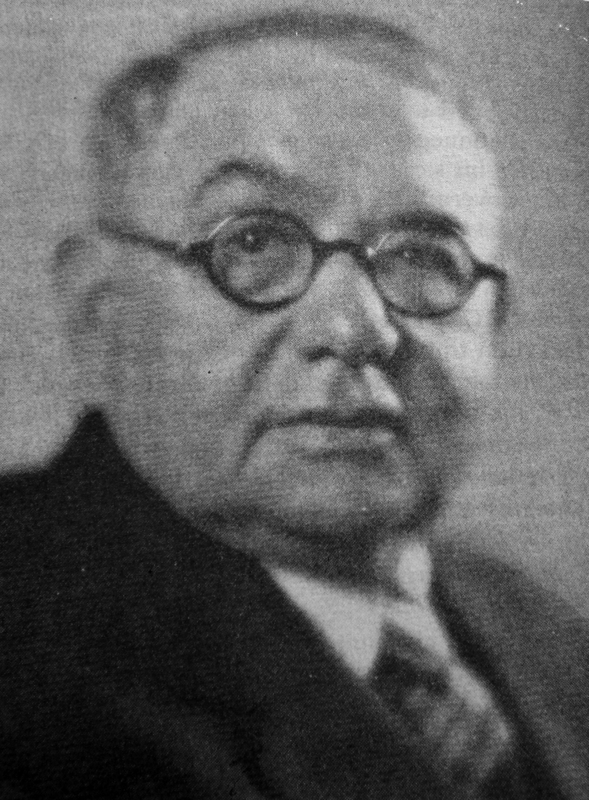 Charley Tucker died without a will in 1912. By law, his property would be sold at public auction. Of course, Tuckers Grove had lots of eager bidders lining up for the chance to finally develop this choice piece of real estate. Enter the Goleta Woman’s Club. 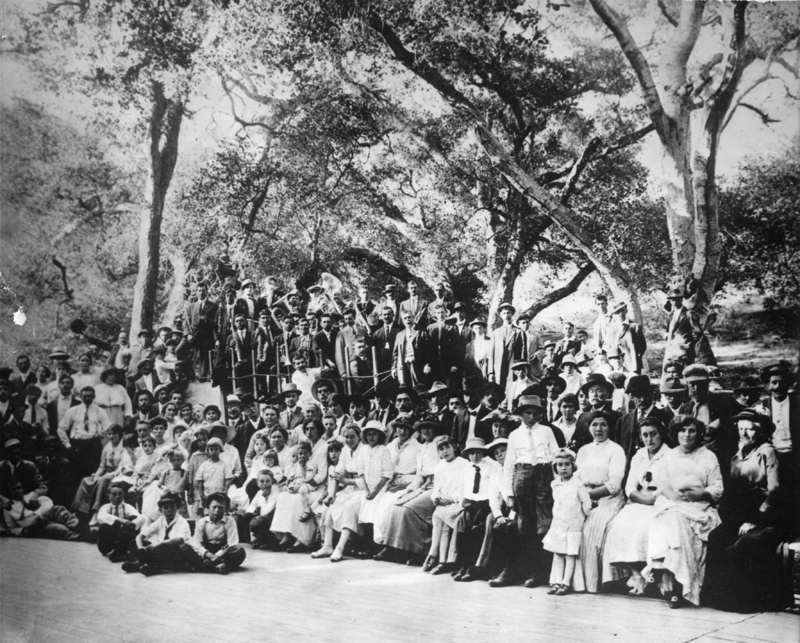 They launched a vigorous campaign to inform and persuade the citizens of Santa Barbara and Goleta to call for the preservation of this unique and beautiful piece of land. Given the popularity of the spot, the public rallied in support. But the hopeful developers were still submitting their bids, and as the auction day approached, it seemed the old picnic spot would not be saved. 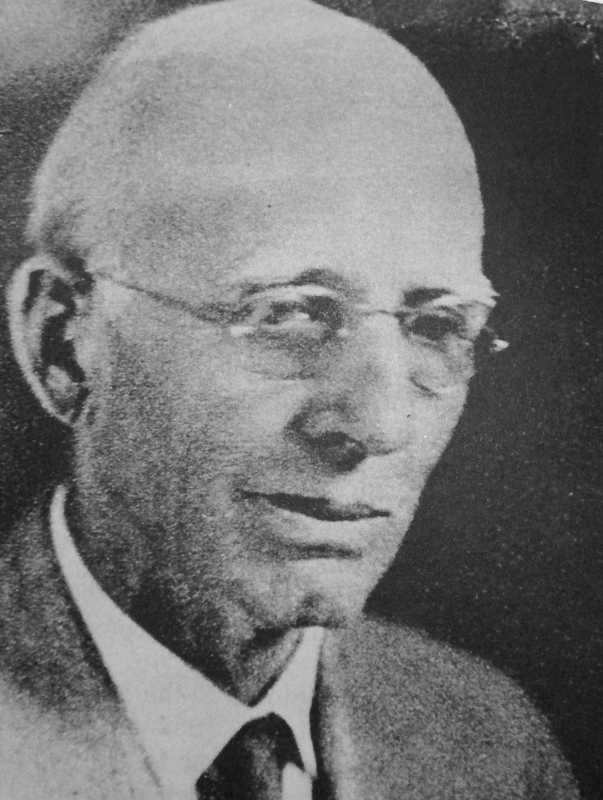 Then Superior Court Judge Samuel E. Crow got involved. He was well respected and a very influential figure in Santa Barbara County politics. He got word of the situation and called the potential buyers into his chambers for a private conference. He told the developers, “Recreational property is getting more and more scarce and some day it will disappear entirely. 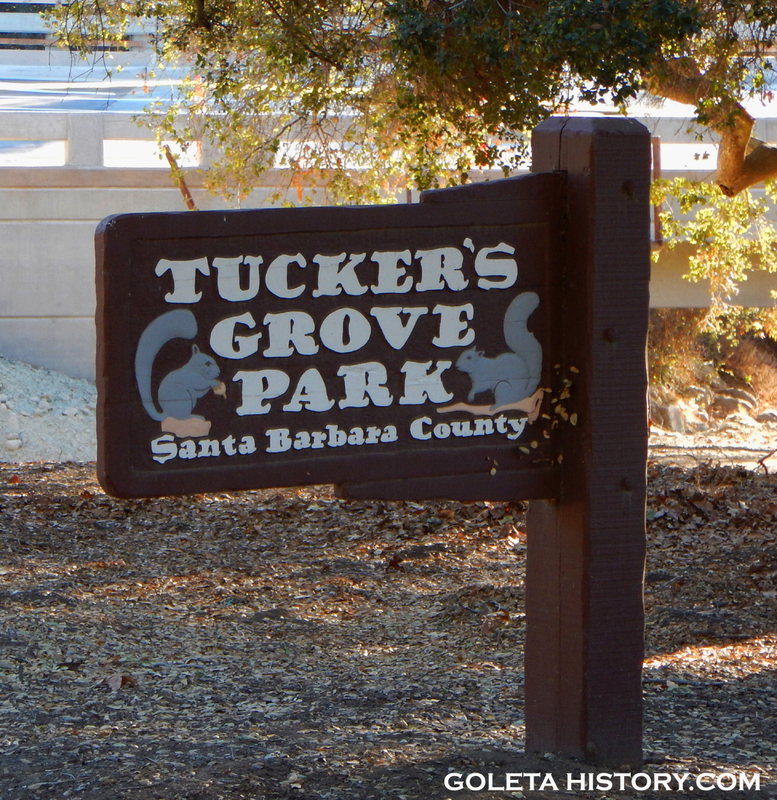 For 40 years Tucker’s Grove has been a favored picnic site for Santa Barbara residents. It belongs to unborn generations who will need a natural unspoiled area to play in. For their sakes, I am asking you to refrain from bidding at the upcoming auction so a citizen’s committee can purchase Tucker’s Grove for public use in perpetuity.” His eloquent influence, combined with the Women’s Club’s successful campaign to create a strong public opinion, kept the investors at bay and they withdrew their bids. 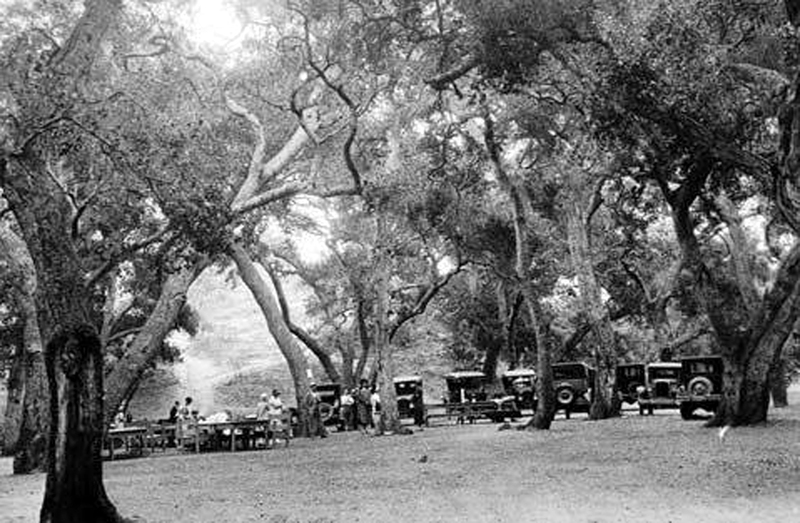 More than 100 years later, Tucker’s Grove is one of our most popular parks, enjoyed by thousands of folks every year, and waiting for more “generations yet unborn”. 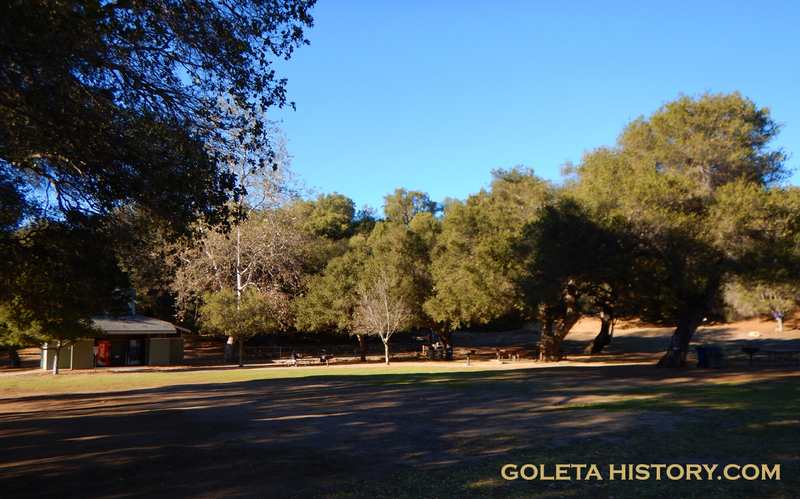 Perhaps there should be a plaque at Tucker’s Grove reminding us to thank Judge Crow, Mr. Edwards and the Goleta Women’s Club for saving this special place from becoming just another bunch of houses and streets. And of course thanks to Mr. Tucker, for being so generous with a beautiful grove of trees on his property.
. The story is exciting, heartfelt and beautiful, just like Tuckers Grove itself.. Thanks Spencer. Countless folks have enjoyed this place as will many more in the future.It’s a treasure. A friend sent this to me, I don’t know how I missed it as I always look forward to any of your write=ups, and save them in a special file to re-read now and then. As a new Parks Commissioner for District II I’ve been delving into many parks I’d not been familiar with and the history that goes along. This was particularly charming and a little breathtaking as well to know how close we came to losing this treasure. Thanks!